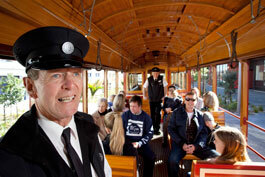 Auckland’s historic tram experience is located at the Wynyard Quarter, the vibrant Auckland waterfront area revitalised this year for the beginning of the Rugby World Cup 2011. 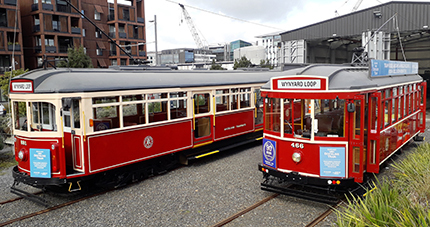 The 15 minute tramway circuit loops around Halsey, Gaunt, Daldy and Jellicoe Streets between the Auckland Viaduct Basin and Westhaven Marina - click here for more information on our Auckland waterfront location. 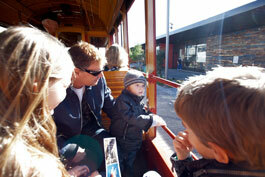 Click here for frequently asked questions and more information on Auckland Dockline Trams.